In the field of pharmacology, scientists study the interactions between drugs and the body and then apply what they have learned to the development of new drugs. Students will learn through a variety of approaches including lecture, discussion, debate, games, laboratory visits, field trips and hands-on experiments. On the final day of the course, students will present their findings in a showcase day and overview the College of Pharmacy's Bachelor of Science in Pharmaceutical Sciences (BSPS) undergraduate program. All parents and teachers are invited to attend. 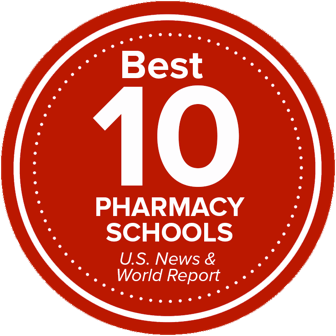 The course is not designed strictly for students with an interest in pharmacy. In fact, any student with an interest in biomedical science (including careers in pharmacy, medicine, dentistry, laboratory research, etc.) is encouraged to apply. However, we do primarily explore careers in the pharmaceutical sciences (both clinical and research careers). This program does not explore careers related to forensic science, engineering or the physical sciences. Can we find a “perfect” drug, and if so, what properties would that drug have? What are the similarities and differences between therapeutic drugs that cure disease and street drugs used recreationally? How do drugs cause addiction? Why do only some drugs work in the brain? How do our genes play a role in the success or failure of a drug treatment? How do we discover new drugs? What types of careers are available in the pharmaceutical sciences? We will review all applications and notify you of our decision via email no later than Tuesday, April 30,2018.